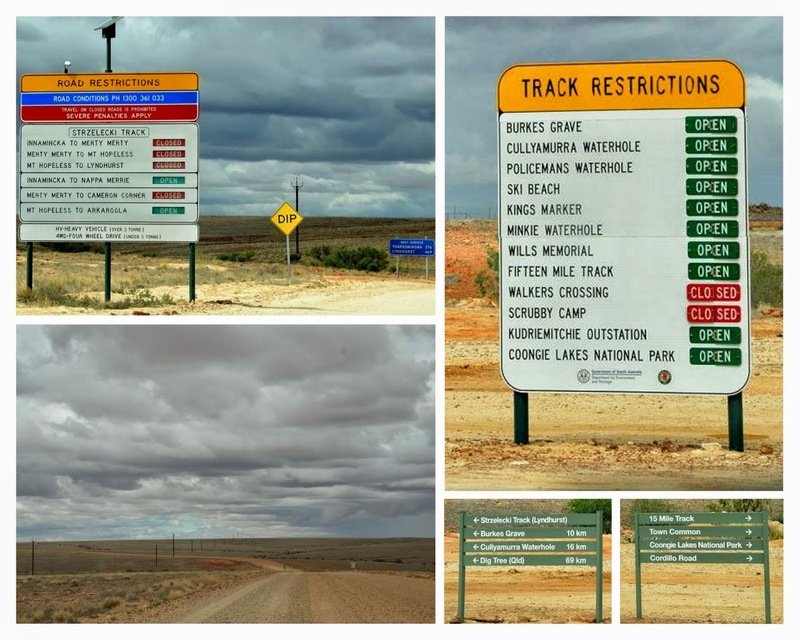 The status of some roads and tracks had changed during our short stay, so we were pleased to see the road back to Thargomindah remained open. We made a last stop at the dump - where we spotted a dingo sitting on a large rock pile, watching us from a distance. It was a bit after 12:30 when we started heading back east to Thargomindah. The distance is around 376km and there are no fuel stops between the two points.